Inspired by the Victorian era, Amelia and Timothy’s Glenapp Castle wedding highlighted the beauty of the venue and their love in an intimate celebration. Besides the location of their wedding, the couple prioritized the way it was captured, bringing along photographer and videographer tub of jelly to document the day. The resulting images and film are warm, romantic, and artistic, exactly as Amelia and Timothy experienced their wedding. 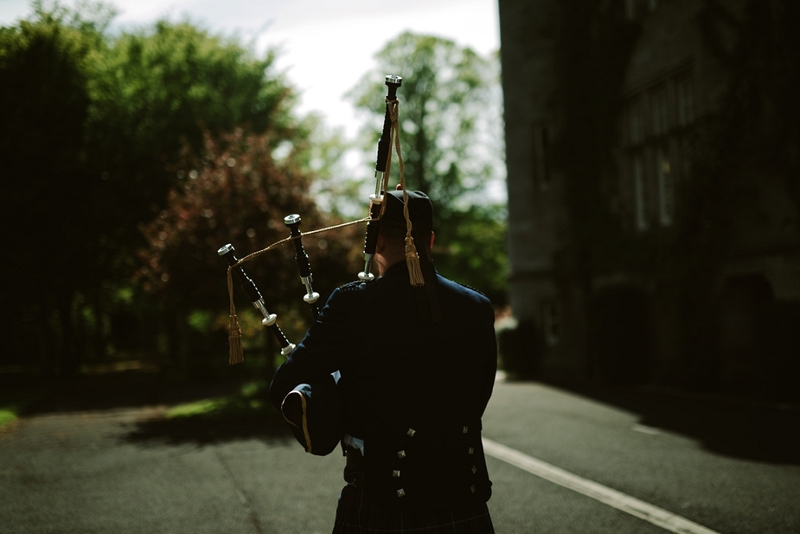 My favorite moment of our wedding is when the piper started to play as I was walking with my father down the “aisle” outside. I got chills and started to cry. We both had to hold back our tears. We kept telling ourselves “OK, don’t cry, don’t cry.” It was very emotional and beautiful. I wanted our wedding to be very personal but in the same time absolutely beautiful. (what bride doesn’t). I have always been into the Victorian era when it comes to fashion. We chose a castle and when people found out we were getting married in a castle they probably thought “princess” or possibly even “Disney” but what we were really going for is more of a rustic, royal, humble, almost an Alice in Wonderland theme. Or even an Anne of Green Gables theme. I think it matched our personality perfectly. It was very private but also extravagant at the same time. Timothy and I only had one professional working with us other than the venue owners: Betty our photographer and videographer. We absolutely loved working with her. Timothy will never take photos and doesn’t like to, and even he mentioned how easy and natural it was to work with Betty. I found her online when searching for photographers in Scotland and I fell in love with her style. She chose the music for our video and we couldn’t believe how amazing and spot on she is. It’s like she knew us for years. The video and photos matched our relationship and how we are as a couple. Betty has an artistic eye and captures your natural self on camera. She never asked either of us to smile or do anything, she caught us in our most natural state. We love her, can’t say it enough! Congratulations to Amelia and Timothy on their Glenapp Castle elopement! For more gorgeous wedding photography by tub of jelly, check out Gem and Rob’s mint green wedding at the Colton House.